South East Asia recently welcomed two new RIPE Atlas anchors when Viet Nam and Myanmar joined the growing network of economies hosting the Internet measurement devices. The new additions boost the number of economies with APNIC-sponsored anchor hosts in the Asia Pacific to 12, the others being Bangladesh, Cambodia, India, Indonesia, Maldives, Nepal, Pakistan, Philippines, Singapore, and Sri Lanka. Discussions are ongoing to deploy anchors in other economies in the Asia Pacific. APNIC has been working with the RIPE NCC since June 2014 to encourage the deployment of RIPE Atlas anchors and probes in the Asia Pacific. The RIPE Atlas project is the RIPE NCC’s main Internet data collection system. It is a global network of hardware devices — probes and anchors — that actively measure Internet connectivity and reachability. RIPE Atlas anchors, which provide an understanding of the state of the Internet in real time, are both enhanced RIPE Atlas probes with much more measurement capacity, as well as acting as regional measurement targets within the greater RIPE Atlas network. In Viet Nam, the RIPE Atlas anchor is hosted in Ho Chi Minh City by ISP NetNam, which installed and switched on the device in early May. 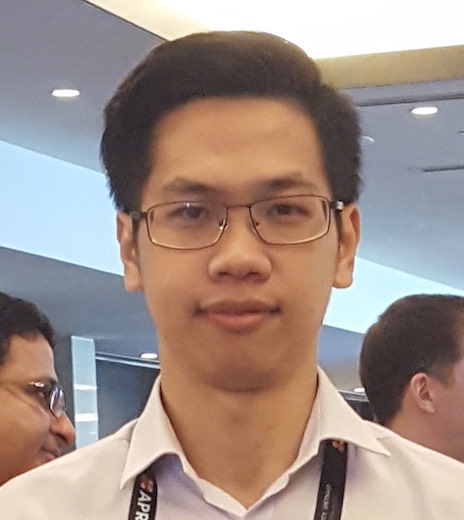 NetNam NOC engineer, Tris Nguyen, says he was first introduced to the RIPE Atlas project and its anchors at APRICOT 2017, which was held in Ho Chi Minh City in February. Tris himself installed the anchor, with some help from RIPE NCC. The purpose of the anchor for now, Tris says, is to measure the latency to desired destinations around the globe. Having an anchor in Viet Nam, he adds, “will give us an overview of network health in our region, in order to make modifications promptly when necessary and thereby help us to increase customer responsiveness”. “I see a lot of potential in this little box. We will see what it can do in the future,” Tris says. In Myanmar, Lin Zaw Win installed the RIPE Atlas anchor by himself for telecommunications company Ooredoo Myanmar. Lin, Ooredoo’s IP/MPLS Project Manager, made the decision to host the anchor to improve the monitoring of Internet traffic, with the device installed in Yangon, Myanmar’s largest city, in January. Ooredoo Myanmar’s network provides about 90% coverage — 3G and 4G — in Myanmar at the moment and Lin is confident that having an anchor in the region will contribute to both the health of the Internet in Myanmar as well as the company’s business performance and prospects.